If you ask five different women you’d probably get many different explanations of what a protective styles are from each of them. Protective styles by definition is any style that does not pull too much on the edges of the hair while also tucking away ends and keeping them safe from damage and potential breakage. Damage to our hair can occur in a variety of ways ranging from heat and chemicals to excessive manipulation and even direct contact with your pillow at night. It is important that you’re doing all you can to ensure that your hair is protected from root to tip, everyday. Is it better to use protective styles or to style your hair in a manner that requires low manipulation? The answer to this question is as diverse as we are, but we’ll break down the ways in which each method can help or potentially harm your hair. 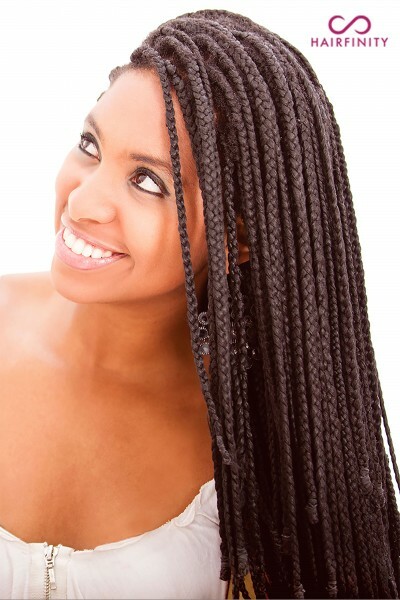 Protective styles are particularly important to women who have natural hair but these styling techniques are not exclusive to the natural hair community. Whether your hair is natural or relaxed it is a must that you maintain your hair’s health and the key to healthy hair is moisture. Frequently, protective styles such as buns, braids, two strand twists and even sew-in weaves or lace front wigs, are left in the hair for weeks at a time. This can be a great thing because our hair grows well when it is left alone. However, when using these styles you should think of your hair as a beautiful plant that requires moisture to grow. In the case of our hair, that moisture does not come in the form of water, instead it should come in the form of natural or organic oils. Coconut, castor oil or your preferred oil should be used as frequently as your hair requires it, while it is tucked away and protected. Beware of the pitfalls of protective styling. Leaving your hair in protective styles for too long can potentially be a bad thing if you’re not careful. Here are a few things to keep in mind when wearing protective styles. Have fun! Protective styles don’t have to be boring. Show your personality by converting braids and twists to up-do’s and buns. Dress it up – ribbon, headbands, jeweled combs and other accessories can take your style to another level. Curls and coils can become tangled if left to their own devices, maintaining moisture will be key in minimizing the tangles when you are taking your protective styles down. When choosing buns or braids be sure not to pull to hard. You don’t want to cause unintended damage to edges or ends by handling your hair roughly. For sew-ins be sure that your are cleaning your scalp at least every other week. Try using tee tree oil as a cleanser and rinsing with lukewarm water, your scalp will thank you. Be warned tea tree oil has a very strong aroma try adding an essential oil to minimize the scent. Give yourself a mini trim. When it’s time to clean your hair and scalp you should clean up your ends and trim off any damage. Damaged ends are the enemy of growth and overall health. Don’t skip on the moisture. Apply oil to your hair as needed to ensure that your hair and scalp are being properly nourished. Low manipulation styling does not require that your ends are tucked away for safety. The idea behind low manipulation is that if you are not styling your hair every day – read brushing, flat ironing, and other potentially damaging techniques – the result will be hair that retains health and length. A few examples of low manipulation styles are wash and go, twist/braid outs and loose or messy buns. When deciding to use low manipulation styling techniques keep the following in mind. They are usually easier to install. If you are adding extensions to braids or twists it could take longer and hair must be pulled tighter to hold the extensions. They are quite flexible you could wear your hair twisted today, take down the twists tomorrow and put the loose curls into a bun for the weekend. Moisture is still key, even though you have elected to not style your hair daily you should still provide your hair with proper hydration. Maintenance and moisture are the two key components to having hair that is not only long but healthy and strong as well. You have chosen to put your hair into a protective style, but did you know that there is a wide range of things that you can do to promote healthy growth aside from your decision to protect your hair from the elements? Hair care is not one size fits all and what works for your best friend may not be a fit for your tresses. You may have to combine products for optimal result but be patient, hair growth is a marathon not a sprint. Here are our tips for healthy dietary habits for healthy hair. You are what you eat. A well balanced diet not only improves your physical health but also the health of your hair. Vitamins A, C, D and E, Omega-3 fatty acids and any protein rich food are a great place to start. If you choose not to incorporate certain foods or have food allergies try a vitamin supplement. Hairfinity hair vitamins have a formula that is proven to help aid in growth and improve the overall health of your hair. Hydrated hair is healthy hair. Be selective about the products that you use, avoid products with alcohol and sulfates, as these products dry the hair, select shampoos and conditioners that hydrate your hair. Don’t skip your scalp. Be sure to keep your scalp moisturized, using an oil like coconut or castor oil will not only penetrate the scalp but also coat your strands to maintain a healthy shine. When you retire for the night be sure that your hair is protected. In addition to the potential for tangles, laying your hair directly on cotton sheets and pillowcases night after night can cause unintended damage. Many women avoid sleeping with their hair covered because they may be trying to put their best face forward. Completely covering your head with a scarf is not your only option when it comes to nighttime hair prep. Take a look at some measures you can take to ensure you’re using protective styles for sleeping. Change your pillow covering. Satin pillowcases are a great alternative if you’d prefer to leave your hair uncovered at night. The roughness and texture of a cotton pillowcase creates friction with the hair, which in turn can lead to breakage. A satin pillow case will allow hair to retain moisture as opposed to cotton which will absorb the moisture from your hair, leaving it dry and brittle and potentially venerable for breakage. Satin pillowcases are especially helpful for anyone who’s hair fits any of the following descriptions: curly, breakage prone, overly styled, or dry hair. If any of these sounds like you maybe you should consider changing your pillow covering. If you’re the DIY type you can easily make your own pillow cover and choose from a wide array of colors and satin qualities at your local fabric store. Wrap it up. No matter if your hair is relaxed or if it’s natural and you’re wearing a silk press or flat ironed style, you should wrap your hair at night. Wrapping the hair will keep it smooth and untangled and it will also preserve the body of your perfectly coiffed tresses. You will need to secure your hair with either a full head scarf or a hair wrap that that is open at the top. 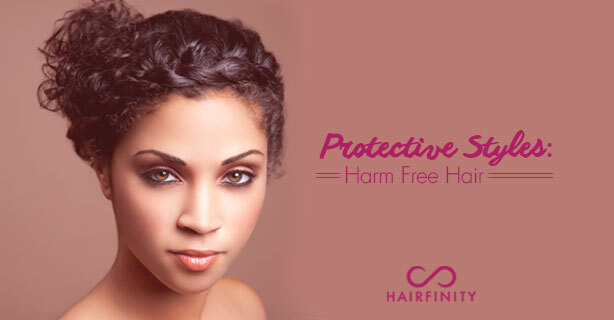 Wrapping your hair at night will leave your hair manageable in the morning requiring you only to unwrap and go. Pin it. Pin curls are another easy way to style your hair for bed while making sure that you are abiding by a protective styling routine. The amount of pin curls you put in depends on the amount of curl you would like the next day. The more pin curls the more curl and body your hair will have. If you choose to pin curl your hair keep in mind that protective styles are not damaging the hair. Select bobbie pins by making sure that they are not rusty, or have any loose or frayed ends that could snag and pull out hair. Take your time and try not to stick or irritate your scalp when locking down your pin curls. Roll it up. If you can stand to sleep with rollers at night, they are a great tool for protective styling and you’ll wake up with soft curls the next day. You should select soft rollers for sleeping. Select rollers that are bendable and soft, in addition to protecting your hair you also want to wake up rested and headache free. The roller that you choose is dependent on the type of result you want – and a great rule of thumb for rollers the longer they’re in, the better they set. Pull it back. For women with longer and/or thicker hair try braids or ponytails for sleeping. Pulling your hair into a ponytail that is tight enough to hold through the night and also loose enough to do no harm is another alternative for protective styles. If you put your hair into a ponytail you should cover your edges with a satin wrap for added protection and be sure to tuck your ends into a bun. You can also try one or two braids, protecting edges and ends as suggested for ponytails as well. Its also fun to note that if you opt for braids you’ll have a nice curl pattern to work with for styling the next day. Many people may not consider annual trips to the salon a part of having and maintaining protective styles, but they should. If you’re not getting great results when styling your hair at home, it might be good for you to seek the help of a professional. Hair stylists that are licensed and certified can be your secret weapon in managing your hair and ensuring that your protective styles are netting you the best results. Women with natural or relaxed hair can benefit from regular trips to the hair salon. Many things that we learn from friends and family could be ill-advised so seek expert advise and treatment whenever you are able. Here are some tips on collaborating with a stylist that will ensure your routine for protective styles is not a bust. Share your long term hair goals with the stylist and be receptive of feedback, they are trained professionals after all. Your stylist can come up with a plan that consists of salon and at home treatments that will be easy to maintain. Keep your ends neat and trimmed. Although trimming your ends has nothing to do with retaining length it will go a long way to maintaining your hair’s health. Protective styles alone are not enough to maintain the overall health of your hair. You must make sure to take preventative steps as well. Give your ends a regular dusting to ensure that damage and split ends won’t ruin your progress. Receive chemical treatments in the salon. Avoid over and under processing hair by getting chemical treatments in the stylists chair. Dyes, relaxers, and other chemical processes can be taxing and break down the hair’s natural defenses. After they have applied chemical treatment and styled your hair, a great stylist will give you tips and recommendations that will go a long way to maintaining your hair’s health and promoting growth. Hairfinity hair vitamins, an innovation in hair care, is transforming the hair of women all over the world with a unique blend of vitamins, nutrients, and our exclusive Capilsana™ Complex. Hairfinity customers have reported improved manageability and an overall healthier appearance of their hair.